Seriously, this is one of the most impressive how to video we have in stock currently. The Cards at Work DVD is chock full of truly amazing “self-working” card magic. Hence, the name “Cards at Work”. 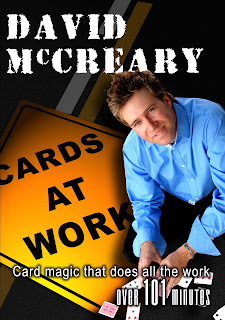 This DVD is a must have for everyone and anyone who does card magic. Each effect is thoroughly explained by comedy entertainer, magician and TV personality, David McCreary. 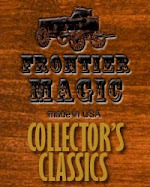 Although this DVD would be invaluable for the person starting out in magic, it is no way is simply a DVD for beginners. Seasoned pros can pick up some very clever routines as well. A few of the better routines are Scattered, My Card Your Card, Hands Off and Scarne’s Drunken Poker Deal. And… There are tons more solid self-working card effects on this disk! The best part is, you can do all of the effects with a borrowed deck. Seriously, recommend this to a friend, I did!